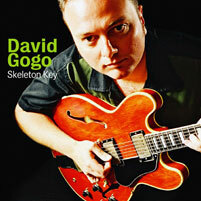 Gogo takes things to another level with Skeleton Key. Halfway to Memphis is dedicated to the electric blues lovers and has established Gogo as a mainstay of the genre. But with Skeleton Key, Gogo takes another step with more of a R&B-ish feel and groove. Highlights include the title track (Just Ask) Jesse James, the Depeche Mode track, Personal Jesus, and the wonderful rendition of Stevie Wonder's Signed, Sealed, Delivered. This album is pure listening delight.